One of the great blessings in my life is my adult bible class at the Highland Church of Christ. The Sojourners bible class may be one of a kind in the Churches of Christ. 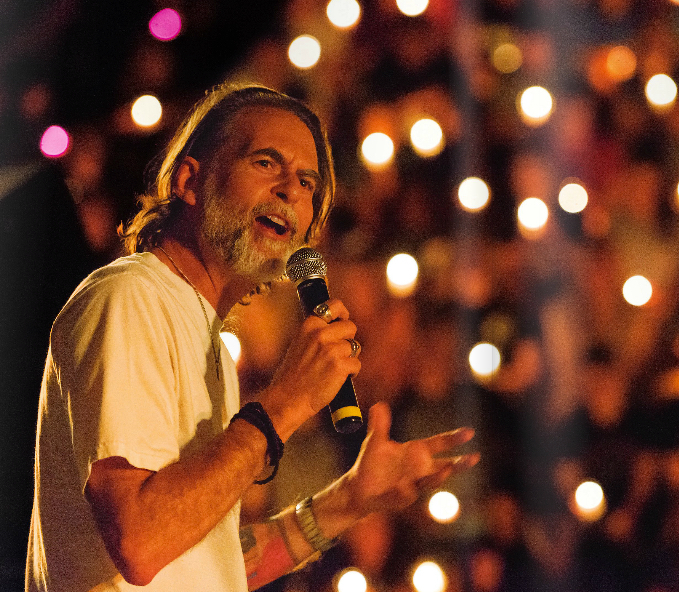 If you join Highland and it is known that you struggle with doubt or ask hard questions the recommendation quickly comes, "Try the Sojourners class." No, it's not perfect, and we aren't where I'd like us to be, but a lot of people who can't stomach church can at least tolerate Sojourners. For example, this last semester we hosted a really wonderful study by Trevor, a colleague at ACU on our bible faculty. The class was about the evidence that 2 Peter is pseudepigraphical. That is, 2 Peter is attributed to Peter but wasn't really written by Peter. The pseudepigraphical status of 2 Peter has been noted for quite some time, from Origen to John Calvin. But what was most interesting to me about Trevor's class was the "internal evidence" he pointed to within 2 Peter that suggested the letter was pseudepigraphical. This evidence mainly points to a late date of composition, a time after the death of Peter. Trevor pointed us to two locations where 2 Peter expresses some theology that seems to date it from the late first to early second century. The phrase "our God and Savior Jesus Christ" is what jumps out here. The earliest Christians were slow to realize that Jesus was God. Admittedly, that was a hard concept to get through the skulls of Jewish monotheists. So it took some time. We don't see bold statements along these lines in the earliest NT books, but here in 2 Peter we have a big theological splash: "our God and Savior Jesus Christ." Such a bold statement hints at a late date of composition when the doctrines of the Trinity and the Incarnation were beginning to come into clearer focus. Anyone who has ever read Romans 9-11 gets what the author of 2 Peter was talking about. Paul really is hard to understand at times. But that's not the comment that interests us. As Trevor pointed out, the phrase to key on is "His letters...which ignorant and stable people distort, as they do the other Scriptures." A couple of observations. First, it's highly unlikely that the apostles considered their letters to be "Scripture." Yet here in 2 Peter we have a sense that the apostolic writings were beginning to take on this sort of authority. Again, this hints at a late, post-apostolic date of composition, a time when "Scripture" was taking shape in the mind of the church. But the most damning bit of evidence here is the fact that it is highly unlikely, given their high profile disagreements, that Peter the Apostle would have described Paul's letters as "Scripture." Which suggests that Peter didn't write the letter. And speaking of Scripture, let me return to the Sojourners bible class. As you might expect, it's kind of odd to have a bible class about pseudepigrapha. I mean, what do do you say to other members of the church when they ask what you are studying. Do you say, "We're talking about how Peter didn't really write 2 Peter!" Not that everyone in our class loved the study. Pseudepigrapha raises a lot of hard questions about biblical inspiration. And when you talk about inspiration people get nervous. Further, some wonder if any good can come of such a study. I heard one visitor (a non-Sojourner type) say after one of the classes, "I just want to talk about Jesus." Some people, I guess, just don't want to know about issues like pseudepigrapha. Perhaps because it's too scary to think about. So while I get the whole "I just want to talk about Jesus" line I wonder how often it's used as a defense mechanism, as a means of sticking your head in the sand and hoping the world will go away. "Here's the deal. People like Bart Ehrman are publishing books about this stuff. And while this study might not be everyone's cup of tea, I hope everyone recognizes how important it is for Christians to hear about this stuff and to think it through communally and theologically. People at work, family members, and even our own children, will read books like Ehrman's and ask us questions. And we don't need to appear shocked, unintelligent, defensive or afraid. We need to be able to respond in an informed, non-anxious, and theologically coherent manner. That's why it's good to have classes like this." So thank you Sojourners. And thank you Trevor. **Items in brackets may or may not be stated. Following one person's response to my recent talks on universalism at my church, this is an encouraging 'word in season' for me. Thank-you, Richard, and many continued blessings to you in your group. A church in Abilene that allows for doubt and hard questions ... that's an accomplishment worth noting. The Common lectionary's reading of 1 Peter last week helps with dealing with 2 Peter. You have to be prepared to give a defense of the hope in you. In working through authorship issues at the start of any new study I lead, what I've found is that it really helps to answer the question who are you worshiping? Jesus or the book? If a parishioner is idolizing the book, that is a really tough and scary conversation. The biggest problem that puts most pastors in is that just opening up those conversations, even when you end up upholding apostolic authorship, labels you 'questionable'. I suspect that if I still lived in Abilene I'd try to be a frequent visitor. Keep it up, Dr. Beck! The Church needs this sort of thing. fascinating. this stuff makes me glorify God MORE because I feel that both my mind AND heart are engaged ini pursuit of knowing Him. I heard Trevor's classes were wonderful. Highland has for 20 years been a safe place for me to ask my own difficult questions. I don't take that for granted! Those classes were some of my favorites. Trevor is such an intelligent and gracious teacher. I, too, feel like Sojourners is a gift...to me and to our church. One of my favorite hours of the week. Great post! A lot needs to be done to close the gap between what our leaders are learning in seminary/preaching school/bible-majoring, or what-have-you and what they are telling us from the pulpit. I occasionally have conversations with leaders and seminary students who struggle with this exact issue. Even Methodists from mainline churches are shocked to learn about guys like Ehrman because their pastors don't want to touch the questions. As a laity, I think we need to work harder to give our leaders "permission" to talk about this...and then to be generous and loving with them, even if their opinion is a little disturbing. "A lot needs to be done to close the gap... 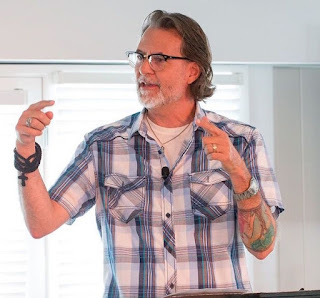 ...I occasionally have conversations with leaders and seminary students..."
I have a friend who'll be starting his doctorate at a rather liberal seminary this fall, but who attends a conservative church with his family. He told me--via email--that he's had to stop commenting during bible studies, since he's learned that his opinions aren't wanted. But he does talk with the pastor. The de facto censorship is grass roots, not from the top, in many cases. And where it does come from the top, my guess is that it is often motivated by fear of the laity (which is to say, the tail is wagging the dog anyway). The real issue, I'm pretty sure, is what amounts to a bad trade in the eyes of most lay Christians: give up comforting assurances for unsettling questions. Perhaps what is needed most is a new genre of liberal theology with titles like "The Joy of Open-Minded Theology!" But I'm curious, do you have conversations with laity about this too? If so, what's your strategy to make it positive? I think it depends on the mindset of the laity. I work with a small, but committed group of young adults. We did a video series last Summer that was essentially an introduction to progressive theology - designed for the laity. Our approach was that we could learn a lot from this perspective, even if we didn't agree with it all. They handled it quite well. I'm not sure other, less committed groups, would have the right attitude and patience to "hear out" something like that. Interestingly, this Summer, we're doing McLaren's A Generous Orthodoxy. They ASKED to do this one because they're eager to hear/see other perspectives on God and Christianity. If I were going to do it over, I'd probably go with this Summer's approach first. Then, later, with the video series. Can you give any references for disagreements between Paul and Peter as I can only think of one? And aren't you just supposing that Peter was petty and holding a grudge against Paul? I think that is hardly "a damning bit of evidence." If I could get past the introverted impulse to avoid groups, gladhanding, and requests to fill out personal information on visitor cards ... nevertheless, if I could get my copy of "Unclean" autographed by the author, I might consider trying out such a class. Thanks for the perspective! I need to check out A Generous Orthodoxy. I'd be happy and honored to sign the book. I have a question that was probably a part of your discussion of pseudepigrapha in general, whether or not 2 Peter is an example of the type. 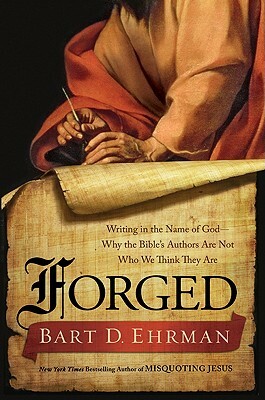 The question is: Did the writers who composed these letters and appropriated the name of an apostle as the purported "author," consider doing so a form of lying and indeed (as Ehrman's book title suggests) forgery? It is hard to imagine a sincere Christian knowingly using a falsehood to promote the faith. If they did not think of it as lying, what did they think they were doing? Dr. Beck, I don't want to put my head in the sand on issues like this. However, I'm increasingly anxious the more I learn. Did you ever, or how did you come to some kind of peace regarding doubt, theodicy, inaccuracy of the Bible, etc. Any suggestions? Embrace turmoil and psychological suffering? Any peace I've found is in downplaying belief and firmly committing to being a follower of Jesus. I've sort of checked out of the belief game and keep my efforts focused on the Imatatio Christi. Thanks for your response Dr. Beck. I've really enjoyed reading your blog over the last couple of years even though I never comment (before now). So how do you follow Jesus while downplaying belief? In other words, why do you follow him? How does that work psychologically? If you've already dealt with this, maybe you could point me to some of those posts. I certainly think that imitating Jesus is primary, but how do I know which Jesus to imitate? You resonate with me very much. I go back and read past series on here all the time. . .But I think my subconscious is still very firmly entrenched in the old paradigm. As for the "how" I just set for myself goals that are shaped by Jesus and the NT writers. For example, I just wake up and work on the list in 1 Cor. 13. Trying to be patient with others and kind. If not 1 Cor 13 then Matthew 5-7 or Matthew 25. For example, it's Monday so I'll be visiting the prisoners tonight. Later in the week I'll be with the poor and homeless. As to the "why," this sort of living provides its own justification. Simply stated, I feel happy, alive, and at peace. Thanks Dr. Beck. I think I hear what you're saying. It sounds like you perceive the way of Jesus as described broadly in the NT to line up with the reality of how you and possibly even humanity as a whole are 'wired'. Is this what you mean?